Rocksteady have just served up a first look at the next installment in their famed Arkham series of Batman games, Batman: Arkham Knight. Long story short: it looks incredible and perfectly demonstrates why this game is a next-gen exclusive and will not be appearing on the PS3 and Xbox 360. Featuring a myriad of Batman’s deadliest foes, the much-loved Batmobile making it’s playable debut in a Rocksteady Batman game, and some of the most gorgeous graphics ever to grace the PS4 and Xbox One, I think it is safe to say that this conclusion to the Arkham trilogy may finally validate the the purchase of a next-gen console for those still sitting on the fence. YouTube has reached a deal to purchase the popular video game streaming service, Twitch, for “more than $1 billion” according to Variety’s sources. If successful, the deal would be the most significant in YouTube’s history and would significantly bolster the service and its content offering, with Twitch being far and away the number one service in its field with over 45 million monthly users and support built-in to this generation’s two major home consoles, the Xbox One and the PS4. Sources claim that the Google-owned company are set to make an announcement “imminently” announcement regarding the acquisition. Microsoft and 343 Industries have announced the next-installment in the hugely popular Halo franchise, Halo 5: Guardians, via a blog post by 343 Industries’ General Manager, Bonnie Ross, detailing the future of the Halo franchise. Set for a fall 2015 release on Xbox one, Master Chief’s imposing frame graces the Halo 5 teaser image, confirming a return to action for the franchise’s much-loved hero. Bonnie Ross also confirmed the game will be bigger in terms of scope and content, as well as running on a “brand new and more powerful engine”, which bodes well for fans of the franchise hoping for a truly next-gen experience and a true progression from 2012’s Halo 4. If fall 2015 seems like a long way off, then rumours suggest that Microsoft are also preparing a Halo 2 Anniversary Edition for later this year, which should placate some fans looking for that next-gen Halo fix. Blake J. Harris’ Console Wars chronicles Sega’s remarkable transformation from industry punchline to global video game powerhouse, focusing on the console war of the early 90s that was waged between Sega and Nintendo, Mario and Sonic, and children around the world that felt compelled to take to the playground and passionately defend their platform of choice. Despite being only 5 or 6 chapters into this 500+ page tome, Console Wars has already detailed Tom Kalinske’s arrival at Sega, the US video game crash of the early 80s, and Nintendo’s ascension from an obscure Japanese playing card manufacturer to the arcade conquering creators of Donkey Kong, and I’m just beginning to delve into the juicy details of Nintendo’s experimentation with home consoles, the NES, and Shigeru Miyamoto’s ascension to industry legend. Few historical video games are this well-written, feature this much insight, and are able to hold your attention for 500+ pages without descending into mediocrity, but so far Console Wars definitely delivers on its promise, and the fact that Seth Rogen and Evan Goldberg are currently developing the feature-film adaptation (in conjunction with Sony Pictures) is a major stamp of approval for Blake J. Harris’ work. If you have any interest in video games or simply wish to experience a snapshot of the past where the world was seen in 16-bits, then do not hesitate to pick up this great example of video game literature. PlayStation Now is Sony’s upcoming video game streaming service, set to open the door for classic titles on current-gen PlayStation hardware, as well as other non-gaming platforms like smartphones and tablets. Set to launch in North America later this year, Sony recently announced that the service will feature “hundreds of titles” on day one, with Uncharted 3: Drake’s Deception and Ratchet & Clank: Into the Nexus being good bets for early releases, having recently been used to demo the service at invite-only events. Games are likely to cost $4.99 – $5.99, although little else is known about the service, and a UK / European launch still seems some way off courtesy of European licensing laws and restrictions. Last night saw Nintendo stream the first Nintendo Direct broadcast of 2014. Nintendo president Satoru Iwata took the reigns once again – with his trademark Engrish and restrained enthusiasm – for a stream focusing on Wii U and 3DS titles set to hit store shelves and the eShop this spring. Probably one of the most anticipated Nintendo games, Mario Kart 8 will hope to single-handedly resuscitate Nintendo’s flagging home console. It was absolutely paramount to Nintendo’s Wii U strategy to get Mario Kart on the Wii U as soon as possible, and it looks as though they will not disappoint. I’m a huge fan of Yoshi’s Island on the SNES, and consider it to be one of the finest examples of 2D platforming ever created. Unfortunately, Yoshi’s New Island seems targeted at a younger audience and my expectations are somewhat low for this. Monolith Soft’s Xenoblade Chronicles was one of the Wii’s top titles, and the upcoming X looks set to take up the mantle from its highly-regarded predecessor. With third-party support rapidly dwindling, this Wii U exclusive could prove key to changing Nintendo’s fortunes in 2014. I’m not a fan of the ‘free-to-play’ model that has become increasingly popular thanks to the success of iOS and mobile games like Candy Crush Saga and (often overlooked) Plants vs Zombies 2. Nintendo clearly made a conscious effort to steer clear of the term ‘free-to-play’ when announcing their Rusty’s Real Deal and Steel Divers: Sub Wars, but that’s exactly what they are. Steel Divers offers a free version and a ‘premium’ version (so essentially a demo / trial version and a full game with all the bells and whistles, but even I have to admit that the haggling mechanic being implemented in Rusty’s Real Deal is somewhat interesting; allowing players to negotiate with an in game character to ultimately reduce the real world cost of in-game items makes for an interesting spin on the much-maligned micro-transaction. Not the most exciting announcement to come out of yesterday, but die-hard Super Smash Bros. fans will be pleased to see another playable character added to the roster of the one game that stands any chance of exceeding Mario Kart 8 in terms of sheer excitement. The Virtual Console was on of my favourite selling points of the Wii; revisiting Donkey Kong Country for the first time since the SNES days or being introduced to Sin and Punishment was worth the price of admission alone. Unfortunately, the Virtual Console offerings on both Wii U and 3DS have been lacking since both systems launched, and titles are currently limited to just NES and SNES titles, with not a single N64 game in sight. December’s Nintendo Direct revealed that Nintendo DS games will now be coming to Wii U, and last night saw Nintendo unveil GBA games to the Wii U Virtual Console library. These are both welcome additions, but hardly the Mario 64 or Ocarina of Time caliber titles that Nintendo fans have been asking for. Also, it seems the 3DS has been left out in the cold, with no new system support on the horizon. 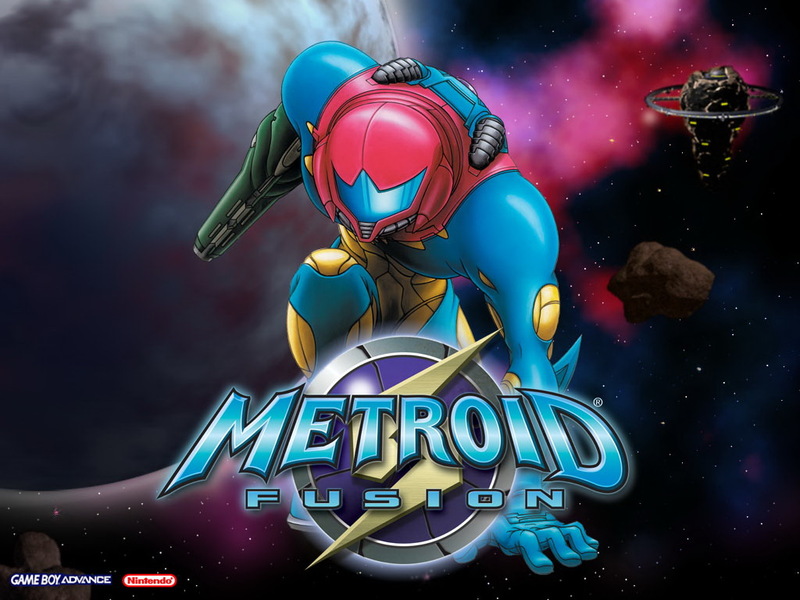 Whether this is an emulation issue with the 3DS hardware, or whether Nintendo is just trying to leverage these re-released games for their struggling home console isn’t clear, but I for one would much rather be playing the low-resolution Metroid Fusion on my 3DS than my 1080p HDTV. Come on, Nintendo. Let’s gets Majora’s Mask on the eShop and save the DS and GBA titles for the handhelds. I already own a 3DS and a 3DS XL, but every time Nintendo announces another super-special limited edition 3DS system – whether it’s gold and emblazoned with a triforce, or dino-green and complete with pixel art Yoshi – then that twinge of gadget lust always returns. I’ll be sticking the my tried-and-tested black version for the foreseeable future, but that doesn’t make the Yoshi 3DS XL any less awesome. Announced in the December Nintendo Direct broadcast, the tentatively titled Hyrule Warriors takes the much loved characters, enemies and weapons from the Legend of Zelda and attempts to tie them with the hack-and-slash action of Tecmo Koei’s Dynasty Warriors series. I’m all for Nintendo giving their IPs to external developers to create fresh experiences, but this title is a bit of a mixed bag for me. For a game that is supposed to be hitting shop shelves sometime in spring of 2014, the footage on offer this December appeared to be very early footage and was really rather bland, with indistinctive locales, barren environments and visuals that don’t appear to be taking full advantage of the Wii-U’s graphical capabilities. Clearly Nintendo felt under-pressure to show something that might get fans excited having been under fire for almost the entirely of 2013, but I’m not convinced this was the right move. Dynasty Warriors has its fair share of loyal fans, but the countless titles in the main series (I think they’re up to 8 in the main Warriors lineage?) have never managed to grab my attention with their simplistic hack-and-slash action and – even though I’m a sucker for anything Zelda related – I don’t see how shoe-horning link into a game with the same archaic mechanics will sway my opinion of the Warriors series. If Nintendo plan on selling this as a full-priced Nintendo title, then I think they’ll struggle to shift units. Alongside Super Mario Galaxy, Donkey Kong Country Returns is one of the most highly regarded games in the Wii library and Retro Studios is giving it a second lease of life on Nintendo’s 3DS. Adding some new levels into the mix and toning down the challenge with a brand new mode that could make this portable revision the definitive Donkey Kong experience. The game has lost very little, if anything, in its transition from console to handheld; the impressive production value remains and the entertaining cutscenes that further the story are just as captivating as they were in 2010. The story is the standard Donkey Kong affair, seeing our primate protagonist’s banana stash being stolen by a myriad of hypnotised animals, providing the MacGuffin that gets Donkey and Diddy back into the action and barrel blasting through a number of colourful environments in an attempt to reclaim their favourite fruit. The controls have made the perfect transition, eschewing the gimmicky and unintuitive motion controls of the original in favour of the more traditional SNES layout introduced by Rare in 1994’s Donkey Kong Country. It is interesting to note that Diddy Kong has been relegated from playable character to glorified jetpack. Freeing Diddy from his barrel prison no longer rewards you with the ability to play as Donkey Kong’s more agile sidekick, but simply sees him jump on Donkey Kong’s back to provide him with some welcome propulsion in the form of a jetpack to help him reach areas that were previously inaccessible. However, delve into the player co-op mode and two players can jump, roll and barrel blast their way through levels together, stripping DK of his jetpack power-up, but giving you the added benefit of an ally to share in the inevitable failure and heartbreak that is bound to occur throughout this immensely challenging adventure. Retro Studios have treated us to some of the most creative level design of any side-scrolling platformer of recent memory. The various worlds are beautifully designed and varied, seeing you go from a lush jungle to a dark cave whilst stopping off at fiery volcano. Every time you find a favourite level, Donkey Kong Country Returns 3D throws something even more creative and memorable at you; whether Donkey and Diddy are silhouetted in darkness, hurtling down a rickety track in the series’ iconic mine carts, or you’re barrel blasting from foreground to background in a mechanic that really shines when combined with the 3DS’ stereoscopic 3D effect, the level design really is the star of the show here. The difficulty of Donkey Country Returns is not to be understated; you will fail and fail often, but every time you do it never feels unjust or a result of faulty gameplay mechanics – it’s the level design that gets you – so smashing that barrel at the end of each section can be an immensely satisfying experience. For those unwilling to test their skills at the highest level, the inclusion of the ‘New Mode’ softens the difficulty slightly, giving you an extra heart and additional items (such as a balloon to carry you to safety when about to fall into the abyss) that make it a far more accessible experience for younger gamers and people that don’t quite feel like launching their 3DS through a train window on their daily commute. Alternatively, too many deaths will introduce Super Kong, a character that introduces a kind of autopilot feature that will complete areas on your behalf if the challenge proves to be too much. Retro Studios have also introduced eight entirely new levels that are exclusive to this 3DS release of the game, and while it may not be enough to entice owners of the Wii version to spend their hard-earned cash on a near identical experience, it should certainly provide extra incentive for newcomers and die-hard Donkey Kong fans alike. If there’s anything to hold against this 3D revamp, it’s that some of the visual fidelity has taken a hit in the process of slimming down for the 3DS. The resolution isn’t nearly as high, so some character models can appear a little jagged at times and the reduced frame rate hinders the fluidity of the platforming, which could be quite jarring to fans of the original, but that’s to be expected on a device of this size. Nitpicks aside, Donkey Kong Country returns is an outstanding portable adventure that is every bit the platforming marvel that we remember. The tweaked difficulty and eight new levels are welcome additions, and while it’s not quite as visually impressive as it was on the Wii, the exceptional gameplay and level design remains intact. When it comes to portable platformers, this one is the pick of the bunch.